Here is a most improbable love story. Chris understands how to make things happen and how to stay out of her own way. Her happiness and balance came first and by staying true to that, her intention for a loving partner was free to arrive by any path, even a most unusual one. After my divorce years ago, I thought very hard about what I desired to happen next.I was fine on my own but it would be very nice to find my heart’s companion. After some serious self-reflection, my plan would be first to be happy and whole on my own. 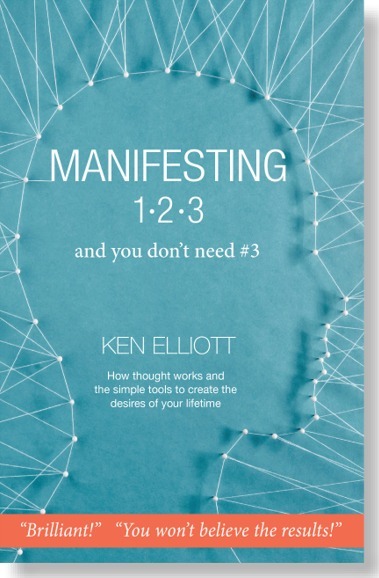 Next, I would use what I know about manifesting and put it to use in a powerful way. My dad’s wedding band to honor my belief in marriage and for sobriety.My dad was a good man and an alcoholic. That gene was passed onto me and in time, I overcame that difficult addiction. A key to my home, for trust. A small, bronze heart, for my belief in love and that I could give my heart again. From a magazine, I cut out a picture of a very large diamond, for the idea that I would be with a very giving person and that he would treat me like a princess. My intention being done, I put the pouch up on the shelf and said a prayer that it would be done. Six months later, I allowed myself a trip to Palm Springs, CA to have some free time for myself and to be with friends there.I hadn’t been dating and the idea of being single in Palm Springs was a bit disconcerting. It is important to note that I wasn’t searching for that companion and love. I was free from the idea of being lonely and incomplete without a partner. The pouch was done, my intention was made and a supporting prayer was said, so I confidently went to California without a pause. I felt all that was necessary had been done. All was fine on my trip until a local friend want me to meet him at a popular restaurant.He was a friend, not a romantic possibility. The idea of the restaurant and its popular bar didn’t bother me or make me uncomfortable either. There was no way I would order a drink. Instead it was the possibility of meeting other men that night. The idea made me anxious, so before heading out I said another prayer, this one was to my deceased father. I asked for his help and protection. The gist of it was to keep any crummy men away. Enough said and off I went to this very high-end restaurant for a nice evening. The place was packed and everyone was diverted into the bar until their tables were called.There was only one chair at a high-top table available, so I joined three strangers there, two women and one man. I noticed some interesting things. The man was not drinking alcohol and the women at the table left, leaving the two of us there. The person I was going to meet appeared briefly, but was pulled away, leaving me in a bar with this stranger. When I asked him why he wasn’t drinking, he told me he had been sober for a number of months. I replied that I had been sober for 30 years and our conversation went from there, running into hours. I told him that perhaps he was my angel. By the way, if he was drinking that night, I wouldn’t have bothered to have a conversation. I was quite the connection and we agreed to continue to spend more time together.We were really good together and in a short time we fell in love. We built a beautiful, solid relationship and three months later, he proposed. It all felt right and I said yes, Then I showed him my special pouch and its treasures. So, what happened here?I met my “fashion man”in a bar of all places,where we would never gather on our own or drink. The people we were supposed to be with that night drifted off for whatever the reason, leaving us to ourselves. It all worked out nicely because we have been married for 20 years now, a marvelous proof of the power of thoughts, prayers and love. A little patience and some humor is helpful too. He kept the paper ring I have wear the beautiful one he gave me. That is such an amazing real life fairy tale. Thank you for sharing your story giving hope to myself a divorcee. Happiness, health and prosperity to you and your family. I agree!! Here’s a bonus… that potential partner is working to meet us halfway.